George Monbiot, a green movement activist and public intellectual whose recent Guardian column about the failure of the green movement sent ripples through the ranks. It may be remembered in the future as the column that changed everything. On one hand, it amounts to an admission of failure — on the other, perhaps the basis for a reaffirmation of Cooperative Extension’s mission and its enduring value to this nation and the world. 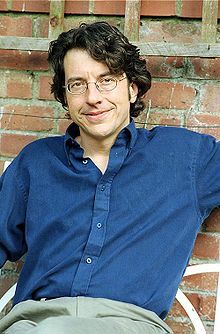 Writing in his Guardian column recently, George Monbiot, one of the green movement’s most prominent activists and public intellectuals, essentially admitted to his movement’s failure. Why? Because no green proposals for de-nuclearizing and de-carbonizing the planet are achievable, he says. The problems that would follow de-carbonization only underscore self-contradictory nature of the green message, he says. “These questions are so divisive because the same world-view tells us that we must reduce emissions, defend our landscapes and resist both the state and big business,” Monbiot says. He even doubts if it’s possible to impose a green movement agenda on an economic system tailored for growth. Even if we somehow could attain a zero-carbon goal by 2030, economic growth would present humanity with the same problems in 2050 and 2070 and into the future. Add to that the even bigger challenge of summoning the public will. Advocating “a massive downsizing and return to a land-based economy” is one thing; persuading the public to embark on such a life-altering undertaking is quite another. The malaise within green ranks is further underscored by the realization that, despite the likely peak of crude oil production reached in 2006, economic collapse has not followed. Industry has compensated with substitutes such as natural gas liquids and tar sands. As it turns out, the problem humanity faces is not having enough fossil fuels but too much, Monbiot concedes. “Collapse will come one day, but not before we have pulled everything down with us,” he grimly observes. He ends his gloomy confession with an appeal to realism. 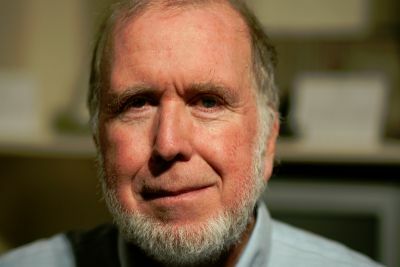 “I hope that by laying out the problem I can encourage us to address it more logically, to abandon magical thinking and to recognize the contradictions we confront,” he says. I think it behooves Monbiot and other green movement intellectuals to read a page or two out of Extension’s playbook. We Extension educators can be faulted for a few things, but succumbing to magical thinking isn’t one of them. Our century of experience has taught us a thing or two about human complexity — the immense contradictions often encountered in the course of fostering meaningful economic and social change. Monbiot and others in the green movement apparently have just now begun to grasp what we learned in the last century working shoulder to shoulder with farmers: Radically new ways of living and working cannot be imposed overnight or through government edict. They can only be adopted incrementally and incorporated into the prevailing working model. This incremental, collaborative relationship between farmer and Extension educator, which formed the foundation of the 20th century farming model, will prove no less valuable in the 21st as we build a new hybridized farming model that incorporates both conventional and sustainable farming practices. This is the reason why I confess drawing a measure of comfort and even optimism from Monbiot’s column. As more green activists are won over to his hard-bitten realism, I believe they will come to appreciate the value of the incremental, collaborative change methods we helped develop more than 100 years ago. In time, I hope, this will also carry over into an awareness of, if not a keen appreciation for, the Extension mission and for the role it will serve in the future securing a more sustainable nation and world.